Animal print will always be our all-time favourite print and this long sleeve midi dress is designed for the fashion forward. 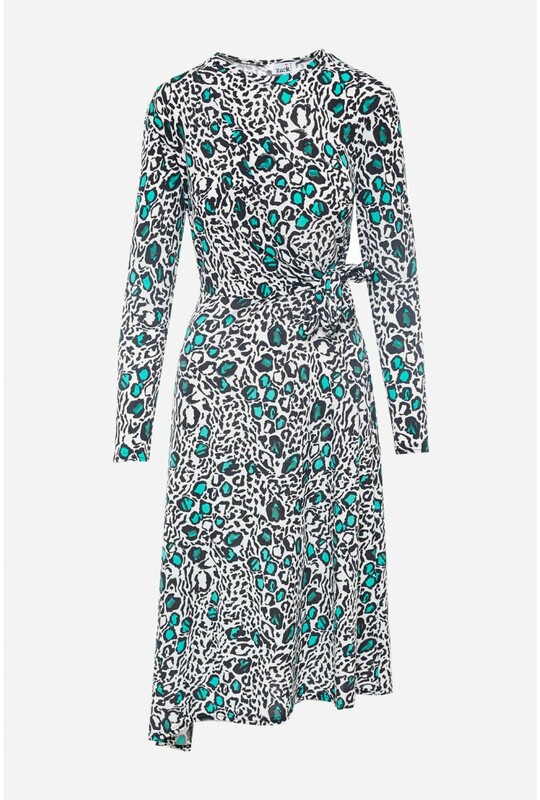 In all over green animal print and tie-knot detail to give a defined silhouette. Pair with black accessories.